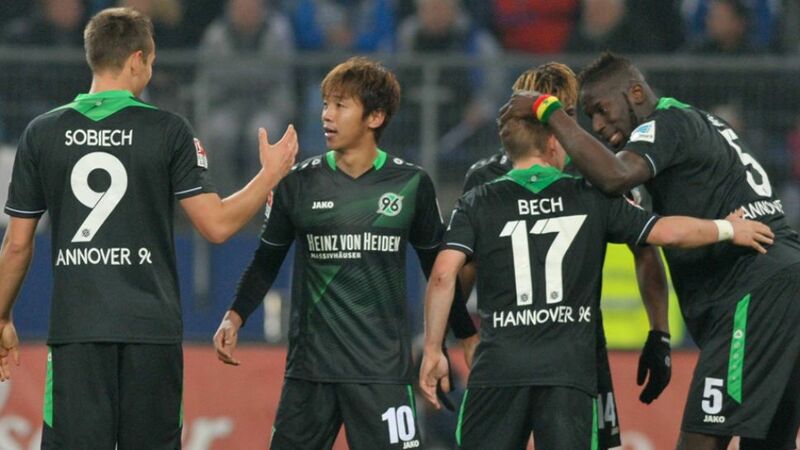 After a worrying start, Japan international midfielder Hiroshi Kiyotake (2nd.l) looks like the man to lead Michael Frontzeck's Hannover 96 out of the rough in 2015/16. Memories of last season's dramatic dice with the drop lingering like a bad smell, Hannover fans must have been fearing the worst when the Reds followed up their opening-day draw at promoted SV Darmstadt 98 with a miserable five-match losing run. "We told you so!" the experts cried, before Michael Frontzeck's charges lifted the gloom by picking up ten points from their next six matches (W3, D1, L2), clambering off the bottom to 15th. 75 per cent of Hannover's clear-cut chances have resulted in goals.Only FC Augsburg have scored a higher proportion of goals from set pieces than Hannover.Only FC Schalke 04 have scored more goals from corners (four) than Hannover (two). "I'll get it in the neck from the wife if we end up back at the monastery." Hannover captain Christian Schulz speaking after the Matchday 8 win over SV Werder Bremen, the preparations for which included a midweek training camp and stay at a converted monastery.